United Methodist Church of Evergreen / New Here? / New Here? How large is UMC Evergreen? We have about 420 members, and our average Sunday attendance is 150 spread over two services. Our sanctuary seats 185. We are a close-knit community that welcomes newcomers, while still maintaining an intimate feeling in our services, small groups and classes. Will there be something for my child to do during the service? Absolutely! Children are always welcome to stay in the service with you. But we also have a thriving children's ministry at UMC Evergreen: the UMC EverKids, for children in Preschool through Fifth Grade. A Youth Sunday School program and, during our 10:30 service, the EverKids Action Pack (a children's mission-focus program) meets to work on on-site service projects. It's perfect for active, enthusiastic children! And of course, for infants and toddlers, there is nursery care during the 8:30 and 10:30 services. 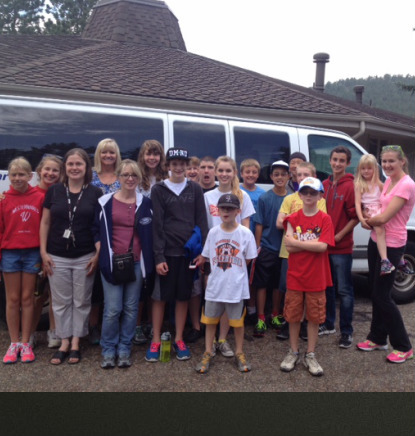 See UMC EverKids under "Children and Youth" for more information about the children's ministry. What about teenagers? Is there something for them? You bet! On Sunday mornings throughout the school year, the UMCE Youth Sunday School meets during the 9:30 Education Hour for a time of discussion and debate. 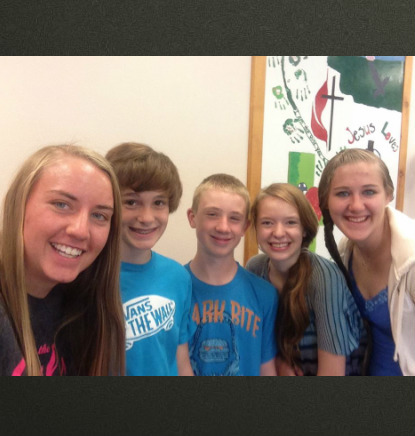 Youth Group meets for fun and fellowship in a less formal atmosphere from 12:00 - 3:00 on Sundays. Are there studies and discussion groups for adults? Yes, we have those in abundance, too! A Women's Bible study meets on Wednesday mornings; Methodist Men gather on the first Saturday of the month for breakfast and a program; short term Sunday morning adult study church management, or social gatherings of many kinds, it's likely that there is a UMC Evergreen small group already meeting, with a place just for you! We also welcome a number of groups from the Evergreen community to use our space for their worthy causes during the week! What are UMC Evergreen worship services like? UMC Evergreen worship services are open to all. Please feel free to dress in the way that you are most comfortable worshiping. 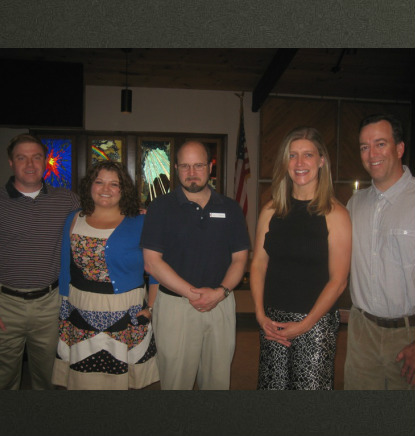 Some of our congregants enjoy the opportunity to wear their Sunday best, while others are more comfortable in jeans. Our focus on Sunday mornings is on worship. We have two different styles of worship service on Sunday mornings: a family-oriented early service, and a traditional worship service. You are welcome to attend the service you feel is most appropriate for you. Please see our Worship Services page for more information about individual services. What kind of people attend church at UMC Evergreen? That is both a simple and a complex question. The simple answer is: all kinds! We are a socially diverse group: some members endorse a conservative theology, and others a more liberal interpretation of the scriptures. We enjoy healthy discussion and debate on a host of scriptural and theological issues, and all points of view are welcome. One thing that we all have in common is a desire to come closer to God and further His good work here on Earth. 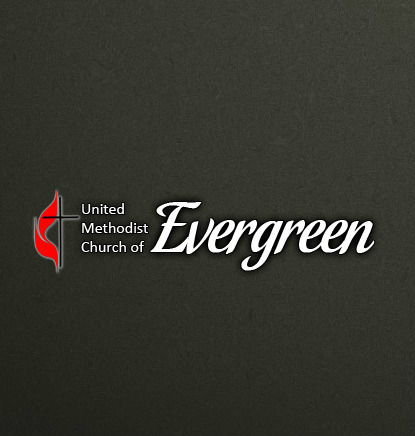 Who can I talk to if I want to know more about UMC Evergreen? Anyone at the church is happy to talk to you about their experience at UMC Evergreen. 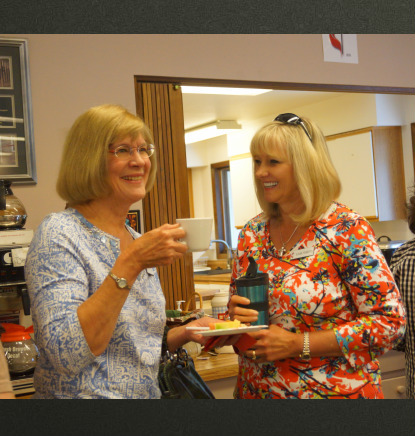 Just stay for coffee in the Fellowship Hall after service, and you will meet a number of people who are active in the church in many different ways. But if you'd like more specific information about our church before you come and visit, please feel free to call us at 303-674-4810. Pastor Deb will be more than happy to answer any questions that you have!